Who said having kids means saying goodbye to travels, staying home and spending your holidays by the pool? 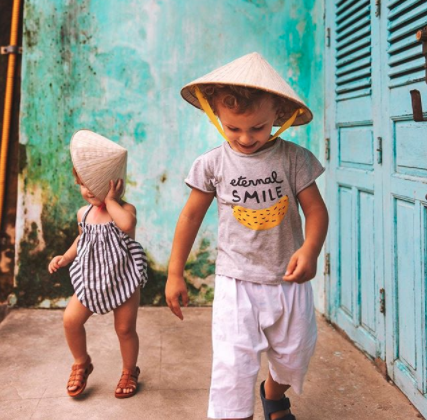 Excellent photography, explosions of colors, fun adventures and good vibes... here are a few of my favorite family travel Instagram accounts! It's interesting how most people think starting a family means stopping to travel... when for others having kids is actually the BEST excuse to explore more. We cannot wait to show the beauty of the world to Noah and to travel as a trio. Pack nappies & comfort blankets... it's time to get inspired! That globetrotting family hikes all over the world, bringing back a collection of great photos in a fabulous vintage kind of aesthetic. Perfect photographies in stunning locations. 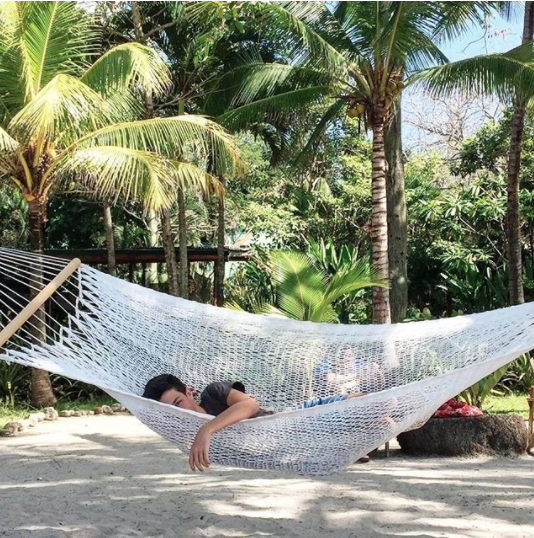 Julien, Miki, Teo & Lia's travels will make you want to travel with them! This family surely knows how to share their emotions -they look so freakin' happy all the time! I'm in love with their happy vibes. Always fun photographies. This family travels to some extraordinary destinations for families, staying with the locals in Tibet, hiking in Jordan, exploring Sichuan... The girls have this amazing communicating energy that will make you feel like buying a ticket and taking your kids off to new adventures, RIGHT NOW. To... anywhere! Kelly, Aaron and Hudson have just moved from Los Angeles to Cambridge, UK.They're in search for paths less wandered -which often means for them being barefoot in the sand, constantly cradled by the rhythm of the waves. Great photos and use of light. After six years exploring the world just the two of us, a baby boy has joined the tribe! It's a whole new adventure that begins now, starting with a trip under the sun of Cambodia. Wanderlust at its best! Based in Michigan, Josh, Care, Remy and Jade spend as much time as possible on the road, mainly exploring the West. Something about the mountains and shorelines seems to be magnetic to them. They got out of debts, moved their businesses online and sold everything they owned to travel the world as a family. I love the simple joy on their photos. They've been traveling since their first baby was 7 weeks old. Now the family has just expanded with baby n°2, and keeps on exploring! Perfect family travel inspiration. We've discovered Sophie's Instagram while planning our trip to Cape Town. She seems like she's having the time of her life exploring Africa with her family. Since we follow their adventures, they keep on inspiring us to explore this continent deeper -with our little tribe of course! 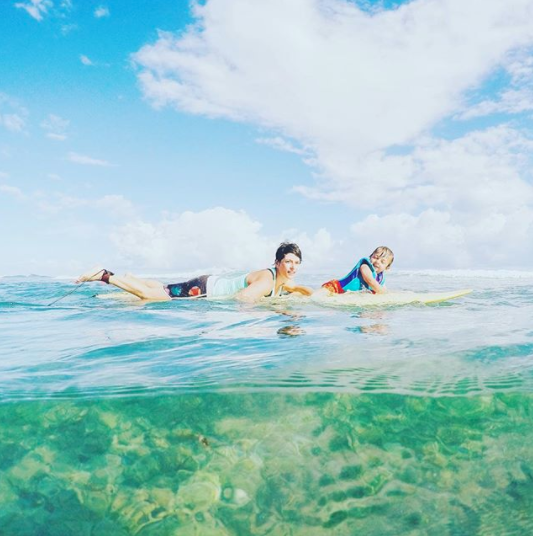 Mom of two kids, Caroline shares her travels in a colorful photo gallery full of life. A fun assortment of outdoorsy and sunny destinations. Brilliant account!